Do you cherish the movie, ' Before Sunrise ' set in romantic Vienna? Would you like to trace the steps of Jesse and Celine as they get to know each other and visit the locations of Before Sunrise in this magical European Capital city full of history and culture. As in Before Sunrise, experience for yourself these locations in Vienna.- Stroll through the Museum Quarter that Jesse said was so "beautiful." Fiaker - horse drawn carriage. Walk through the narrow Old-city lanes and cobblestone street where Mozart and other famous musicians and historical personalities once walked, locations that you first noticed in the movie Before Sunrise. Enjoy and marvel at the great locations set in Before Sunrise and so many more that you cant imagine - we will guide you there! 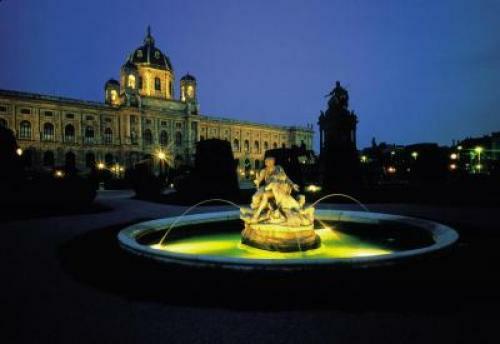 Visit the architectural monuments of Vienna that were featured in Before Sunrise: palaces, museums, churches, opera houses, and fountains, statues and parks of the great Austrian capital. Locations in Vienna that not only captured Jesse’ and Celines imagination but also your own. a beautiful church, a quiet city park as Celene and Jesse did in Before Sunrise. 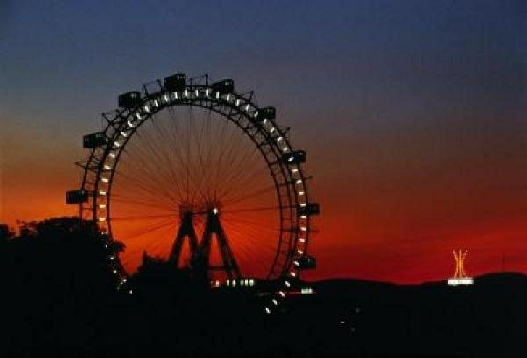 In the evening maybe take in a concert an opera in Vienna ,a walk along the Danube or a sunset visit to the Praeter Ferris Wheel as seen in Before Sunrise. With over 60 museums and many concert venues, Vienna offer has a wealth of cultural offering. Vienna also offers a vibrant night life with the bar district and numerous dance clubs. There are so many great locations to visit in Vienna that are awaiting you before sunrise! Visit the Before Sunrise locations in Vienna that Jesse and Celine did, the Ring Strasse - Helden Pl, The University, Inner Danube the " awesome" Praeter, and so much more ! Let Vienna be your gateway to discovering and enjoy an incredible travel experience in Austria this year! self-guided and self-driving tours of Vienna and the surrounding wonderful Province of Lower Austria. Your own Before Sunrise Vienna adventure awaits ! and the 21 Day Travel guide. Itineraries to help you to make the most of your time in Vienna before sunrise and afterwards, and throughout the entire country of Austria. Worry free travel that will guide you to the great locations that where in the Film Before Sunrise and many many more! Our itineraries have the sight-seeing and travel information you need.